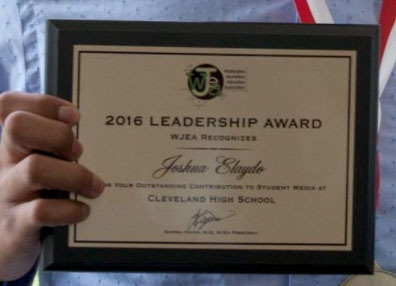 One of the many benefits of WJEA membership is the opportunity to order a beautiful plaque, engraved with the name of your top graduating senior. Orders are limited to one free plaque per WJEA member, regardless of the number of media advised. The first 50 members ordering plaques receive one FREE plaque, if ordering by Saturday, May 2, 2017. Orders placed after May 2 are not guaranteed delivery before the end of May. It takes 3-4 weeks from the time the order is placed until delivery. No plaque orders will be accepted after May 30. No thanks! I just need one free plaque, use this form. REQUIRED: Advisers MUST hold current memberships in both WJEA and JEA to qualify for the free plaque offer! Plaques ordered by the May 2 deadline are mailed before the end of May in time for most end­-of­-the­-year award ceremonies.